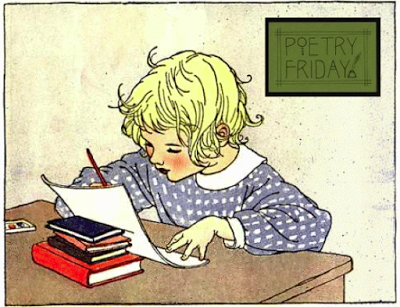 Poetry Friday posts are here today. Scroll down and click the green frog. I am sharing some poetic treasures. 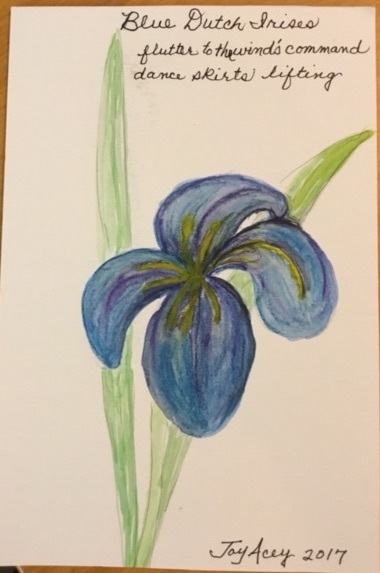 Joy Acey sent me a beautiful watercolor painting of an iris along with a fluttering haiku for the Summer Poetry Swap. She also sent a blank card, so I put it into WordSwag and wrote a response haiku to Joy. Joy wrote in her note to me that she considered this alternate third line. School has started. I found on a shelf in my classroom an old copy of Writing Down the Bones by Natalie Goldberg. I read to my students the chapter “Be Specific” in which she quotes William Carlos Williams, “Write what is under your nose.” Then I read aloud River of Words by Jen Bryant and Melissa Sweet about the life of William Carlos Williams. Writing prompt: Write a poem that uses something specific and ordinary and begin with “So much depends upon…” after W.C. Williams’ poem with the same first line. I was pretty pleased with my poem about the sparkles of condensation on a glass of mint iced tea until I was absolutely blown away by my students’ writing. gently pushing me to the ocean of dreams. I can already tell that this is going to be an amazing year of poetry writing. Did you notice “brass uniform of a senior dragonfly?” We were all blown away by that line. Link your Poetry Friday post below. Margaret, thanks for hosting and HAPPY BIRTHDAY! Your students’ “so much depends” poems are amazing! These are so interesting to me because the main character in my MG novel-in-progress discovers WCW, writes her own “so much depends” poem and uses other WCW poems for models. Isn’t it wonderful how creative children can be, given a starting point? Best wishes for a creative school year with lots of treasures to come! Happy birthday, Margaret! Playing you a birthday song with my invisible ukelele. Your students’ poems are wonderful. They are so vivid they pull us in. Thanks for hosting! HAPPY BIRTHDAY, Margaret – and thanks for hosting!!! Happy Birthday to Linda and Julieanne, too. What lovely treasures all around, and – if that’s what your students are writing in August… Oh, My. Kudos to Erin and Lynzee. That “brass uniform of a senior dragonfly” is hands-down one of the best things I’ve read all summer. Happy Birthday, Margaret! That you’ve built the students’ poetry love shows so beautifully in these poems. Wow! And I love Joys’ poem for you and the way you wrote back. 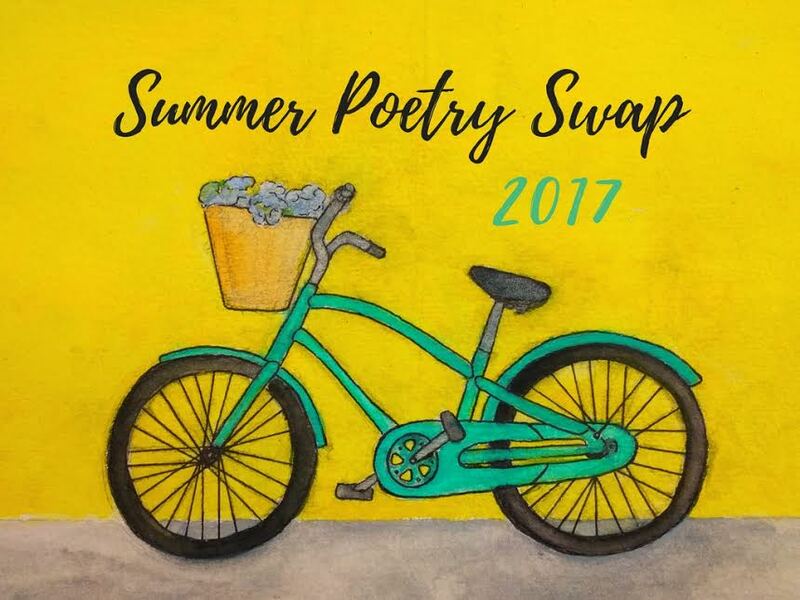 Swapping is indeed a lot of fun, and poems to savor for the long time. Thanks for hosting on this special day! Utterly amazed by the student writers. Thanks sharing the strategy with us! And Happy Birthday to you amazing poets and bloggers! A very Happy Birthday! Here’s wishing you a fulfilling year of teaching, too. Your young poets will grow under your care and guidance. Thank you for hosting. Thank you for sharing about the Write Down the Bones and that fabulous beginning of a poem by WCW! I love him. I am preparing for staff PD and will incorporate that poem into the session. I love your student’s responses. If we trust our students they come through. Here’s to a great year and happy birthday. What great poetic treasures. Thanks for sharing. And Happy Birthday, Margaret! I posted about the lovely poetic treasures you sent me. I wrote a golden shovel, but I’m posting it separately, on Monday. Best of luck to your this school year. We have a few weeks yet. Still enjoying summer here. 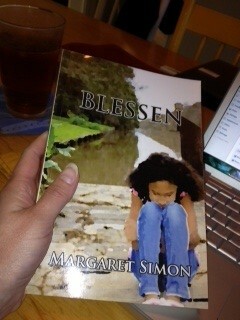 I love the rhythm in both of your poems, Margaret! Joy’s “skirts lifting,” and the trailing of your ukulele. Do you play? 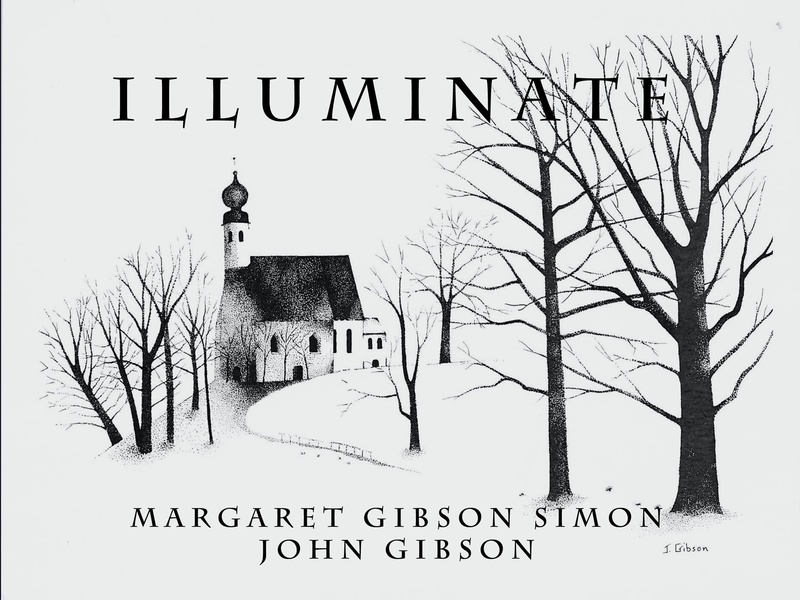 The art images are lovely, calm, and uplifting. Your students poems are inspiring, thanks for hosting Poetry Friday, and all that you’ve shared. Wishing you Many Happy Returns of the Day! Wow, excellent writing from your students! My post this week spends some time thinking about exactly that, the poems kids write – and how nice it would be if we could rustle up some of that imaginative play. Thanks for hosting, Margaret, and Happy Birthday! Happy birthday, Margaret! 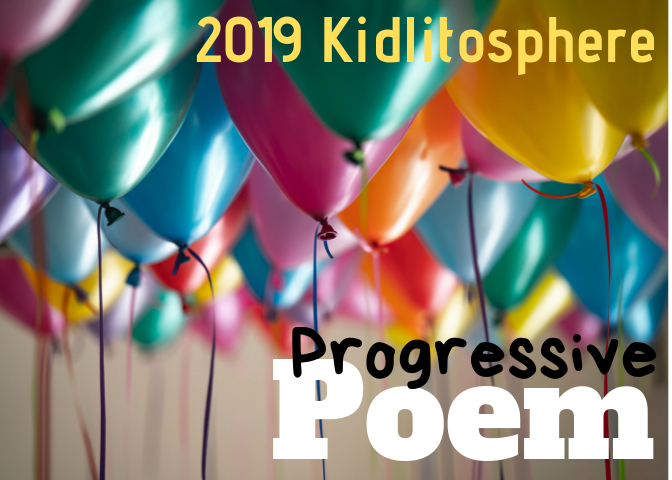 Love the haikus…and that poem by Lynzee blew me away! “brass uniform of a senior dragonfly”…that’s magic, right there, Thanks for hosting, and have a great weekend! Happy birthday to all you triplets (Laura Shovan and Tabatha Yeatts and I are all around the same time too, and live close enough that we can celebrate with a poets’ birthday lunch each year)! “Did you notice “brass uniform”…” indeed! Who could fail to be blown away by that one? 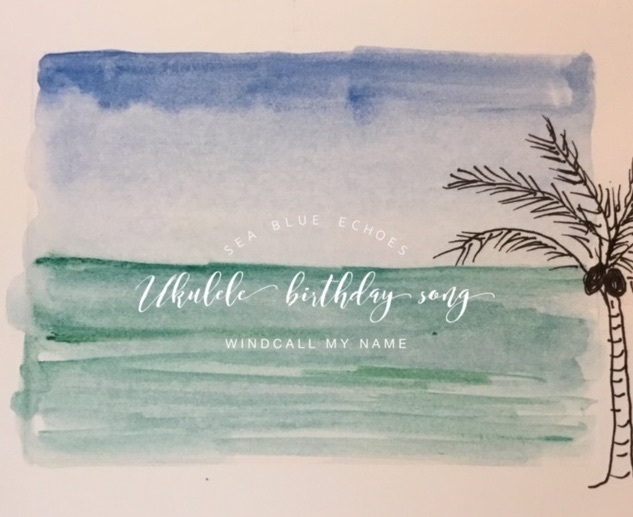 What I noticed also is how choosing “windcall” instead of “wind call” makes all the difference in that poem. Thanks for hosting, and I wish you a new school year full of delight! Happiest of poetic birthdays! Yes, this is going to be a stellar year in your classroom! Thanks for hosting! Wishing you the happiest of birthdays, Margaret, and a wonderful new school year. To your young poets — WHOA! Those are pretty amazing offerings. Off to a great start! Happy Birthday, Margaret, and thanks for hosting. Looks like you have a wonderfully creative year ahead with those wordsmiths in your class! Thanks so much for hosting. “Write what is under your nose” is terrific advice! Happy birthday, and thank you for sharing your students’ brilliant work! Happy birthday! What a great way to celebrate by hosting Poetry Friday. And wow, oh wow! Those are amazing poems from your students. Enjoy a fabulous year with them! You are doubly blessed this week, poetry treasures from friends and students. I can’t believe you are back in school. Enjoy the start! Thank you for hosting today, Margaret. What a perfect way to celebrate the birthdays of a trio of amazing women! Your students’ poems are incredible. I really love “the warm glow of fairy lights.” Wishing you a birthday filled with love, laughter, and joy! Margaret and friends-happy Birthday again! 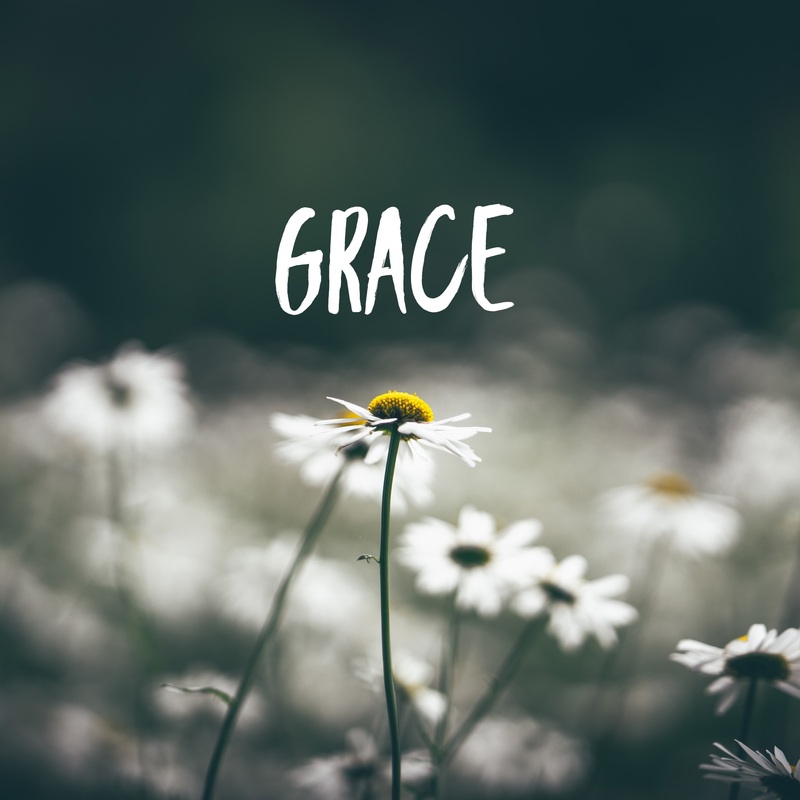 Your post today captures the spirit of summer poetry delicate-hued images and lulling sounds (that inlcude your poem, Joy’s, Lynzee’s, and Erin’s). I wonder if Lynzee and Erin would like to offer their to my summer gallery, and of course, I would like you to offer yours as well. Have a great weekend. Holy Toledo. You’re right–this will be an amazing poetry year. These poems are lovely, from Joy’s flirty iris to your tropical windcall to these students’ vivid poems. Thanks for these gifts on YOUR birthday! Have a wonderful day! Happy birthday, Margaret! Such beautiful poetic words to celebrate your day. What a fabulous beginning with your students. I love Erin’s fairy lights and Lynzee’s senior dragonfly. Hope your special day is filled with delight and birthday songs calling your name. Thanks for hosting this week and Happy Birthday! I loved your students’ poems. It’s hard to believe that they were written by people so young! Happy Birthday dear friend….I have been out of internet touch and just “touch” in general the past few days. So, I am late to our own party! Thank you for all the beautiful wishes and voxer messages to keep things good and right and moving forward. It really DOES look like you are in for a tremendous year of poetry with your students. that brass uniform of a senior dragonfly made me gasp as well as the “out and in and out-again” feel of the fairy dream. What a joy to share writing with these beautiful souls. Hi-fives and hugs to them! A belated happy birthday, Margaret. And what a beautifully inspiring poetry prompt to kick start the new school year. May you have many more rewarding writing sessions. Yowza! Those 2 kid poems are simply fantastic! Great start, and encouraging year ahead.